Our Industrials analyst Jay Van Sciver made his Real Vision debut on “Trade Ideas” last week. 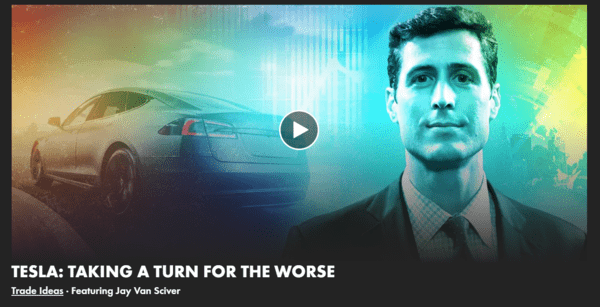 In this clip, Van Sciver highlights one particular short idea: Tesla (TSLA), the car manufacturer run by celebrity CEO and visionary Elon Musk. Van Sciver examines both the bullish and bearish theses for the company, highlights the unraveling of the demand story in 2019 and reviews just how low he sees the share price falling, in this interview with Jake Merl.